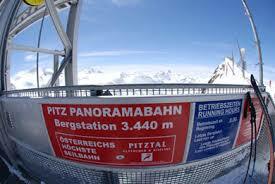 Everyone at home is complaining about the cold - they should be training on the Pitztal glacier - it is minus 20! Originally, I should have raced in China but some races were re-arranged and others were cancelled, so my plans changed. I was then expecting to be travelling to Romania, tomorrow, to compete for Ireland in the SES Cup but those races (along with many others in Europe) have been cancelled - the joys of ski racing! So, for now, I will continue training in Austria until I get an update on where I can actually find a race this side of the Big Day on December 25th. Fortunately, i have quite a stash of hand warmers so the chills of the Austrian winter will not get the better of me!